Mega is Elegant & Creative Business WordPress theme which have many powerful features to allow you build websites very easy and unlimited your creative to make impressed websites. - Updated : Revolution Slider v5.4.7.1. 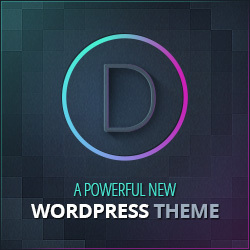 - Updated : Compatible with newest WordPress version. - Updated : All Woocommerce template files. - Fixed : Woocommerce shortcodes are working now. - Fixed : Portfolio Filter responsive issue on mobile. - Fixed : Blog Medium responsive issue on mobile. - Fixed : Radio,Checkbox don't show. - Fixed : Contact Form Widget problem. - Fixed : The post date will use date format from General settings page. - Added : WPML compatible. - Fixed : Woocommerce product category page issue. - Fixed : Responsive for center layout of Callout widget. - Fixed : Small Scroller height issue. - Fixed : Add image instead of icon to Testimonial widget. - Added : New Header Transparent options. - Added : Custom Layout options for Single Page. - Added : New Logo, Topbar, Menu White-versions. - Added : Page Heading Center align. - Added : Sticky Menu. Go to Appearance -> Mega -> Main to Enable it. - Added : Options to change h1/h2/h3... for Page Builder title & Widget title. - Fixed : Background options for Boxed Layout. - Fixed : Responsive for Boxed Layout. - Fixed : Responsive of Pricing Table widget. - Fixed : Broken link in Icon List widget. - Fixed : Responsive of Process widget. - Fixed : Logo url problem with SSL. - Updated : Documentation with more detail about install and shortcodes. - Fixed : Pagination issues in blog & portfolio pages. - Updated : Wope Portfolio plugin to v1.3 fixed some warnings and errors. - Fixed : Tagcloud display issue. - Fixed : Add More Section button of page builder not working. - Fixed : Short Border below the Team Name Widget incorrect. - Added : Appearance/Mega/Import Demo Tab which have full informations to import demo correctly and easily.